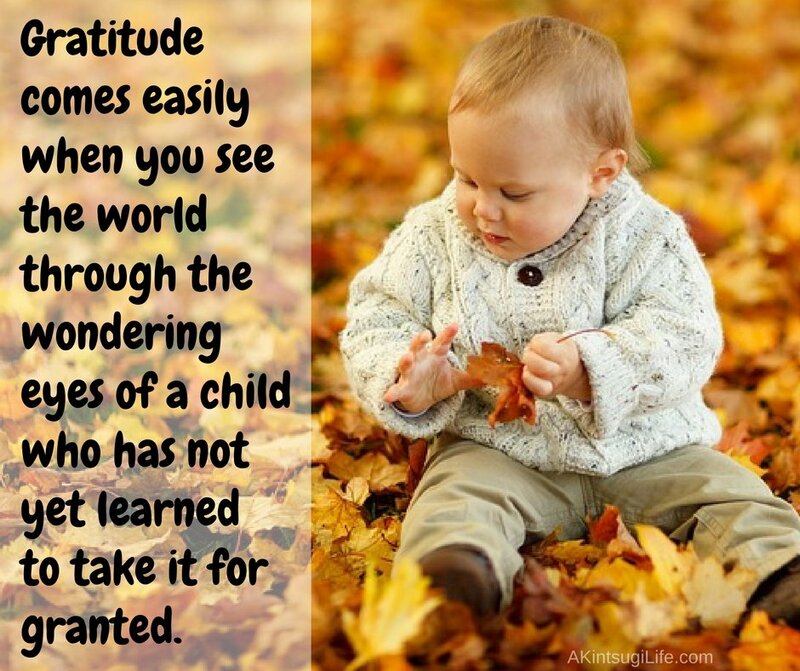 Gratitude comes easily when you see the world through the wondering eyes of a child who has not yet learned to take it for granted. As I’ve engaged in my daily gratitude practice with the postings at Earthwear Collection, I’ve realized how many of the things that I am grateful for stem from re-seeing the world afresh. Our world is filled with so many wonders that bring so much awe, delight, and gratitude when I just stop taking them for granted long enough to really see them once again. When I return to that fresh, wondering gaze of a child looking upon a new world, gratitude flows so easily for all of the little things that I have gotten so used to overlooking. That simple shift is available to me every moment of every day, and it not only makes gratitude easy, it completely changes my world!